Trendy bloke, Hardy photographer and successful publisher. 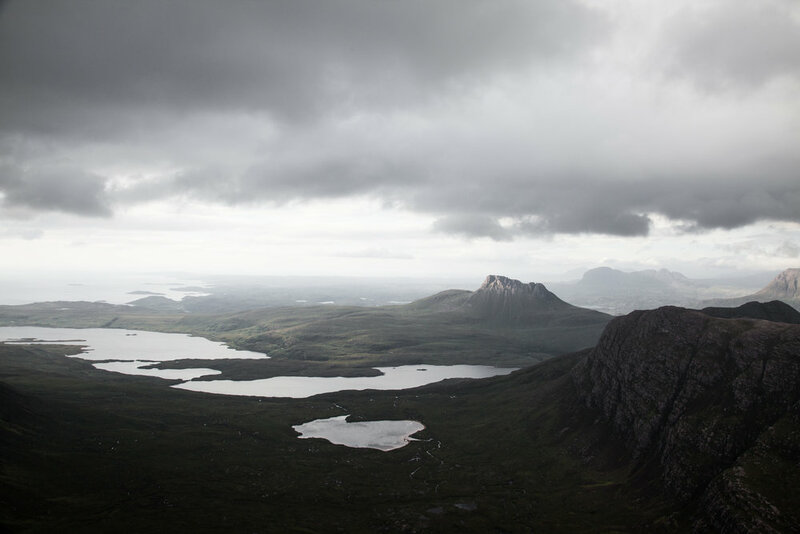 Our longstanding pal talks us through his processes and his love of Scotland’s great outdoors. RG: I studied at Glasgow Caledonian University, however the chosen subject wasn’t photography. Instead it was Social Work. I taught myself how to use a camera. In the future, I’d like to be able to combine the subjects and bring some form of help back to society, perhaps in Community Arts..
RG: During my time at University, I had a part time job in a retail shop where I felt I learnt most about myself. I really gelled with the people who worked there unlike University. I made a close friend during my time at work. He was a passionate mountaineer and inspired me to go on climbing trips to the Highlands. From the first trip I had taken, I was obsessed with nature and led to my passion for landscape photography. VM: What are your favourite tools for producing work? RG: Digital SLR, telephoto zoom lens and a tripod. RG: Manual settings are essential in learning the functions of photography. Discovering the affect of changing the aperture. The shutter speed and the ISO. When using a tripod. Make use of the live view feature and manual focus to ensure images are sharp. RG: To bring two equally driven individuals with a similar/complimentary interest, but different skill set, who are dedicated to creating something beautiful and valuable. RG: Looking through old Scottish books on the Highlands and searching for photographs of mountains from angles that I may not have seen before. These details are then documented into a notebook and locations sourced online, which prepares me for my next outing in the Highlands. RG: Along with a yachtsman, we are creating on a photography workshop that will take place in the Northwest of Scotland in May. It’s a sailing trip for 7 days, visiting some of the finest locations in the country. These places will be offered to those looking to learn about photography, visit beautiful parts of the country and be willing to do it from the (lack of) comfort of a yacht. Secondly, I’m currently working on a personal project based solely on one mountain, Stac Pollaidh in the Northwest of Scotland. Photographing the uniquely shaped peak from the various surrounding mountains in Assynt. I’m also hoping to republish Wild Guide Scotland - my travel guide book to Scotland - which will require an update in the near future. RG: I’m either at home, researching locations in Scotland. Waiting for a good weather window to venture out in the Highlands. Climbing mountains and taking photographs. Or I’ll be on a job; the majority of my commission work is travel or lifestyle based and consists of either travelling, shooting in a studio or covering a brief in the Highlands. These days can span from a couple of hours to twelve hours. No days is really the same. Following from a shoot, I edit from home with a cup of tea and my dog. RG: I walk my dog or go a run.